Summer Camps are in full swing here at The Culinary Classroom! Every summer for 10+ years, I have taught my Children’s Culinary Academies. It is one of the things that makes my job so wonderful… teaching youths how to cook and work in a kitchen. As a long time professional chef, it is inspiring to see the passion and drive all of the children have for cooking! 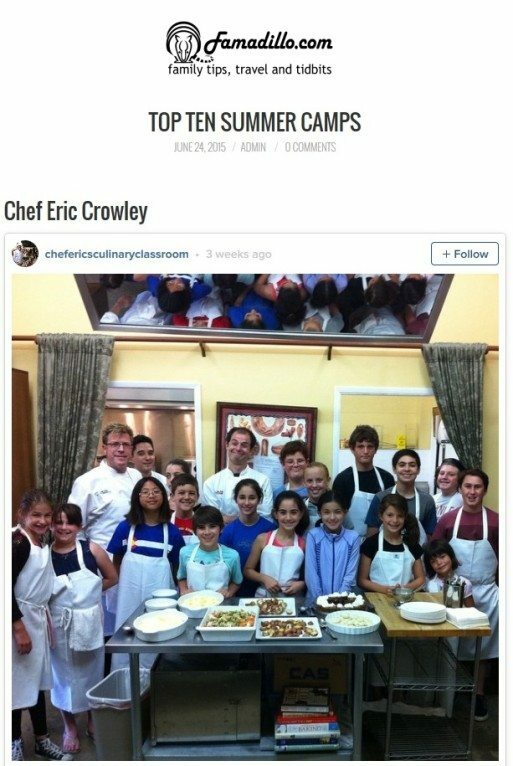 Recently, my Children’s Culinary Academies were named one of the Top Ten Summer Camps on Famadillo.com. 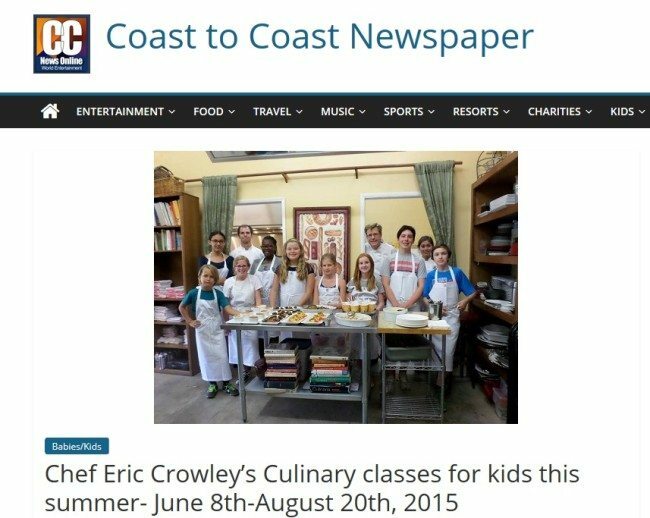 My summer camps were also featured on Coast to Coast Newspaper. Todd Elliot, who writes for the paper, enrolled his daughter in one of my summer camps. She had so much fun learning to cook and eating all of the delicious foods! It was great having her in the classroom… we hope to see her again next summer! Check out both articles below! Make sure to stayed tuned on my social media platforms for recipes, videos, and pictures! Looking for a fun experience for your child this summer? We have limited spaces left in our Children’s Culinary Academies! I took the Cupcake class and my cupcakes from here on out will never be the same!! Chef Eric is an outstanding instructor. There were young girls in the class with their parent and he was so patient with them which speaks volumes for Chef Eric and his personality. The tips alone that I picked up in this class added even more value to the class. Who knew I was measuring flour incorrectly all these years! I will be signing up for both his Master Baking/Pastry Class and his Master Chef Class.